The CCLBA has a number of properties & parcels that are eligible for redevelopment by community developers. Clicking the link below will take you to our Interactive Property Viewer, where we include property information, online application forms, and all other property-related information. See below for instructions on how to filter for properties that are eligible to be developed. If you see the word, ‘Homebuyer,’ that means that the property is reserved exclusively for a homebuyer and not a community developer. 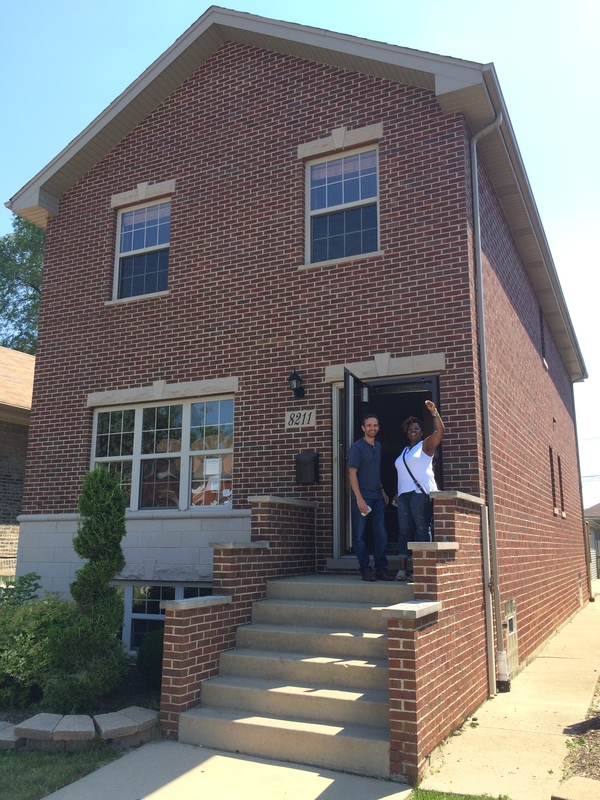 Click Here to learn more about the CCLBA’s Homebuyer Direct program. If you see the word, ‘Certificate,‘ that means that the parcel is part of the CCLBA’s Tax Certificate Program. 1. Navigate to our Interactive Property Viewer to view all CC LBA properties currently available. 3. Navigate to the, ‘Inventory Type’ category and select either, ‘Residential Home’ or ‘Vacant Land‘ to view all properties eligible for redevelopment. You are able to filter further by municipality, ward, and neighborhood if so desired. 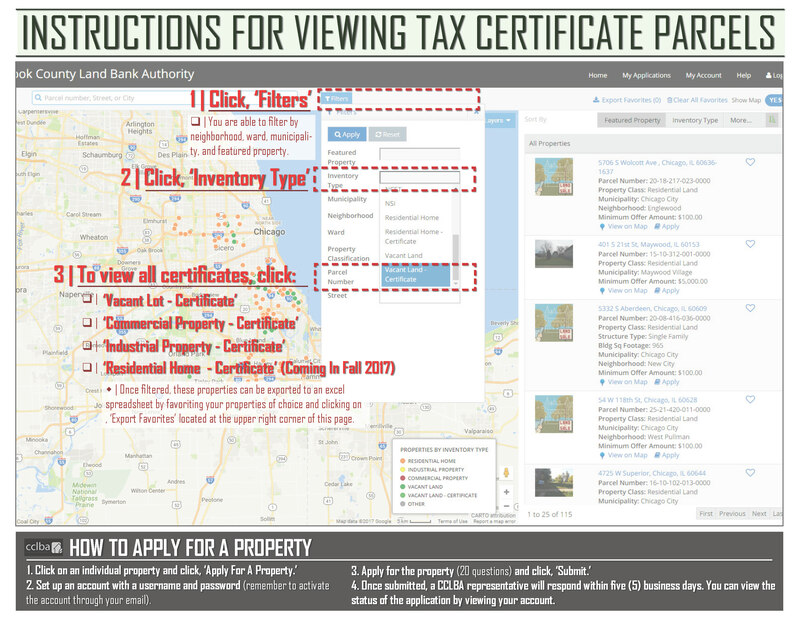 If the property is labeled as a, ‘Certificate‘ that means it is part of the CCLBA’s Tax Certificate Program. 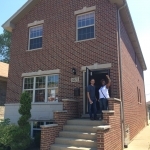 If the property is labeled as a, ‘Residential Home – Homebuyer‘ that means it is part of the CCLBA’s Homebuyer Direct Program and therefore ineligible to community developers.